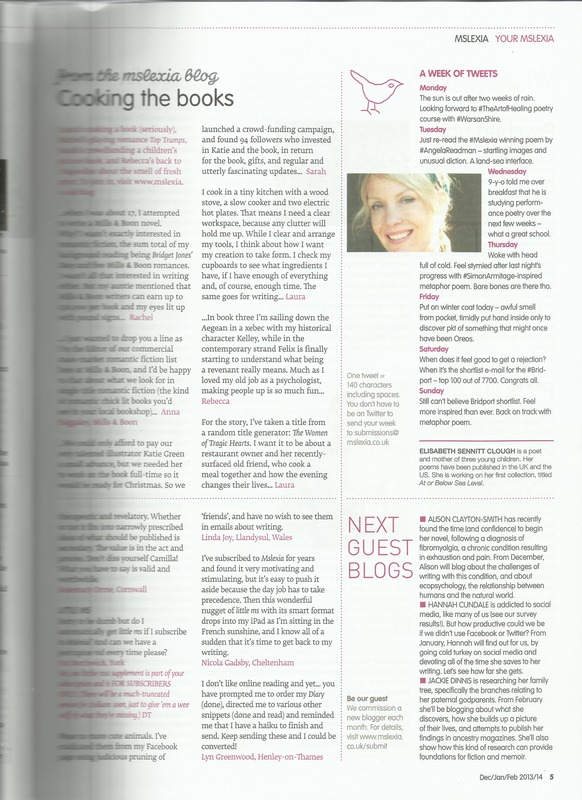 My copy dropped through the letterbox this morning, and on turning to the page that introduces their guest bloggers I was really pleased to see myself! They got it a little wrong, as it says I’ll be researching my paternal godparents, which should read grandparents. I never even had any godparents, so that would be a short blog! I was just beginning to think about my next guest blog and it’s really helped to read back about what I had set out to do in the first place! I get so off-track sometimes, it has reminded me of the usefulness of writing a plan and referring back to it. Not necessarily to stick to the plan, it’s my plan so I can change it! But it focusses me on what I had set out to do, on my initial aims. Also these were what I pitched to the magazine in the first place, so I really should stick to what I said I would do! 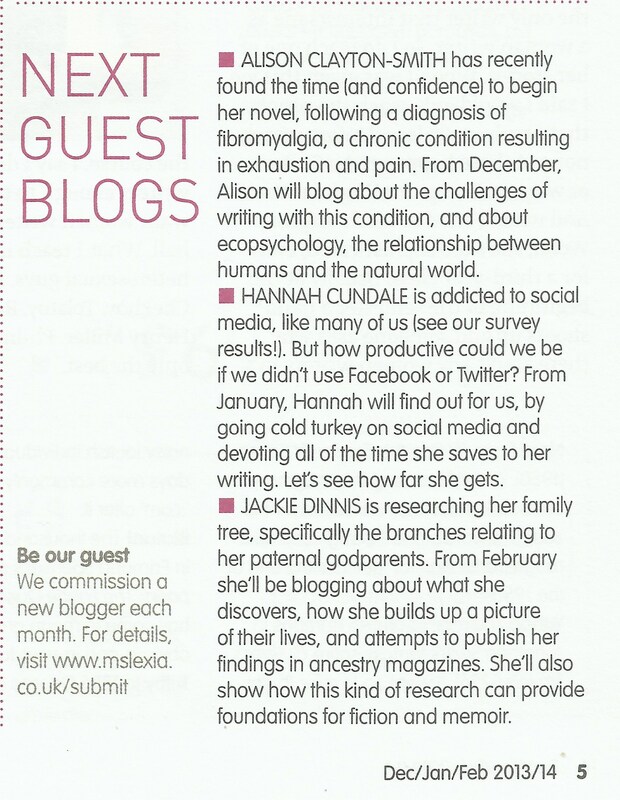 This entry was posted in DINNIS and tagged ancestry, blogging, Family History, guest blogging, mslexia. Bookmark the permalink.